Trick or Treat Studios has announced that they have acquired the license for another one of the most iconic movie franchises in horror, with a full line of masks inspired by The Texas Chain Saw Massacre and its sequels, prequels, and reboots coming in 2017, including Leatherface! 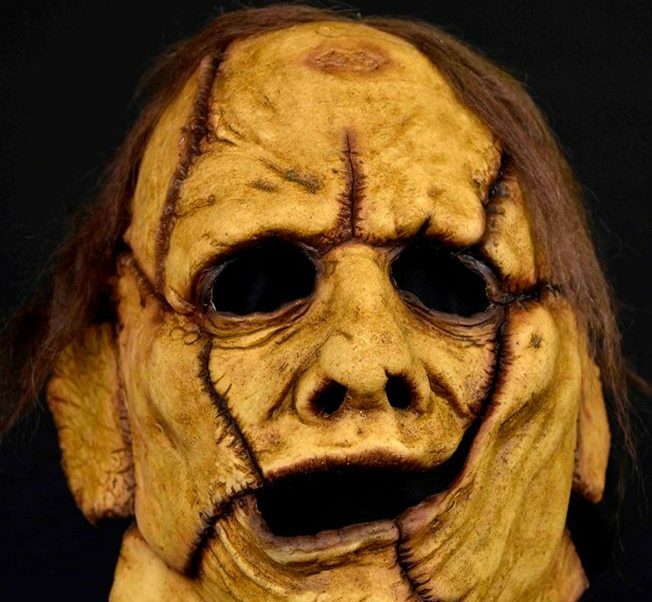 New photos of the upcoming 3/4 Leatherface mask were recently released on Trick or Treat Studios’ official Facebook page, where it was also confirmed that the 1974 version of the killer’s mask, as well as his “pretty lady” and “old lady” masks are all also on the way next year. This is the first of many products coming from the Texas Chain Saw Massacre series in 2017. The film franchise includes not only Tobe Hooper’s landmark original Texas Chain Saw Massacre (1974), but also The Texas Chainsaw Massacre Part 2 (1986) , Leatherface: The Texas Chainsaw Massacre III (1990), Texas Chainsaw Massacre: The Next Generation (1994), the remake The Texas Chainsaw Massacre (2003), the prequel The Texas Chainsaw Massacre: The Beginning (2006), and the most recent Texas Chainsaw (2013). Presumably the deal will also include the next film in the franchise, another prequel simply titled Leatherface, which is completed and awaiting a release date, expected sometime in 2017. You can check out the new photos of the 3/4 Leatherface mask coming soon from Trick or Treat Studios below!